Kim moves into her new house but is dismayed at the housewarming party Kris throws her: red wine is spilled on Kim's brand-new cushions and a huge food fight happens. Meanwhile Kourtney considers moving out of Khloé's house, because Khloé won't let her see Scott. Kris sets up a blind date for Kim with an Armenian professional athlete. Khloé's family pesters her for Laker-game tickets, which upsets her. When none of them get tickets, they watch the game from the comfort of Khloé's home. Khloé loses her 7-carat engagement ring and worries that Lamar will freak out, but Rob finds it. Meanwhile, Bruce and Kris fight about the new garage: Bruce feels Kris is taking over "his" only space in the house; she thinks he doesn't appreciate all the work she has put into their home. The friction makes Kendall and Kylie worry that their parents will divorce, but the parents manage to resolve their petty issues and end up sleeping in the garage together. Kim develops a schoolgirl crush on her new Australian bodyguard despite the fact that they both wanted to keep the relationship strictly professional. Kim drinks a little too much and kisses her bodyguard goodnight. Later she tries to fix the problem to make things less awkward around them. Meanwhile, Khloé teaches Lamar how to swim. Kim receives another round of Botox injections after Kris says she has lines around her eyes. Khloé goes along for moral support, and Kim suffers the side effects of Botox: the skin around her eyes start turning purple. After this incident, Kim swears that she will never get another injection. Meanwhile, Kris is discovered smoking and Kourtney, Kendall, and Kylie try to get her to quit; Kourtney plots to make Kris think that Kendall is smoking because of her example. Kourtney buys nicotine-free cigarettes (honey and marshmallow) and Kris decides to stop smoking. Episodul 6 - Kourt Goes A.W.O.L. When nobody in Kourtney's family makes an effort to attend Scott's birthday party in Las Vegas, Kourtney house-hunts in New York City. Her family soon finds out, and Kris plots a belated surprise party for Scott. Meanwhile, Bruce struggles with getting Kim's dog, Rocky, neutered. When Khloé constantly jokes that Rob is dating her best friend Malika, they decide to pretend that they are. Meanwhile, Kris ponders managing the pop band BG5, and after she decides, she wonders if she made the wrong decision. As Mason goes in for his 6-month check-up, Kourtney realizes she wants another baby so her kids will be close in age like she and Kim were, but when she obsesses about getting pregnant, Scott thinks she's taking all the fun out of the process of trying. Meanwhile, Bruce has a hard time accepting that 12-year-old Kylie has male friends, and there's tension when she breaks the rule about inviting a boy up to her room. Unhappy about getting older, Kris hires a personal trainer, Storm, to help her get back into shape. Bruce becomes concerned when Storm arrives at the house and starts hitting on Kris, but Kris dismisses his feelings until others point out that she might be going too far with Storm. Kim's competitive nature gets her into trouble when she loses to Kourtney during poker night and is forced to serve her needs for a day. im meets football star Miles Austin. Kourtney thinks about expanding D-A-S-H by moving to New York but her sisters are against the idea. Meanwhile Scott and Bruce bond, but Bruce still insists on behaving like a rodent to Scott, despite Scott trying his best to change his ways. Khloé celebrates her birthday in New York City with her family and friends, while Kourtney continues to weigh the pros and cons of opening up a new store there. Meanwhile, Kris decides she's fed up with Bruce's homebody attitude and leaves him behind in Los Angeles, but Rob gets him to let loose during a night out in a club with his friends and the BG5 girls. Bruce later gets earrings and a haircut. Also, Kim parties with football player Miles Austin (with the paparazzi not far behind), and her ex Reggie Bush becomes jealous when he finds out that she has moved on. Miles later breaks up with Kim at the end of the episode. 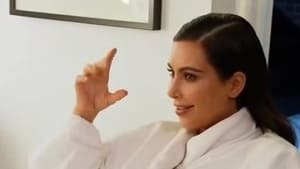 The Kardashians look back at their favorite moments from the series and view some previously-unaired footage.